The CJEU handed down an important judgment two weeks ago on EU water policy which concerns a number of interesting definitional issues as well as the more general issue of legal effects of directives prior to their transposition deadline. 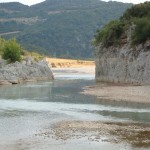 The case concerned a preliminary reference from a Greek court in legal proceedings between the central Greek government and local authorities on the diversion of the river Acheloos in the north-west of Greece. Authorities and local environmental groups have been fighting each other for over 20 (!) years concerning this diversion project, with those in favour of the diversion at the losing side (I call upon our Greek readers to share with us any information on what on earth is going on there). The definition of ‘imperative reasons of overriding public interest’ in article 6 (4) of Directive 92/43 on the conservation of natural habitats and of wild fauna and flora. As to the first question, I would briefly like to recall the legal effect of directives in national proceedings. Directives according to article 288 TFEU ‘shall be binding, as to the result to be achieved, upon each Member State to which it is addressed, but shall leave to the national authorities the choice of form and methods.’ This has led the Court to conclude that individuals may not rely upon its provisions in proceedings against other individuals since directives cannot in itself impose obligations upon individuals (no horizontal direct effect). On the other hand, individuals may rely upon provisions of directives against a Member State because the CJEU considers it ‘unacceptable’ if a Member State were able to rely on their own failure to transpose directives correctly ‘so as to deprive individuals of the benefits of those rights’ stemming from the directive in question (vertical direct effect). However, a prerequisite to vertical direct effect is that the transposition period set in the directive has elapsed (in addition to the requirements that those provisions must be sufficiently precise and unconditional). Before the transposition deadline, individuals cannot rely on the directive to challenge measures of Member States. 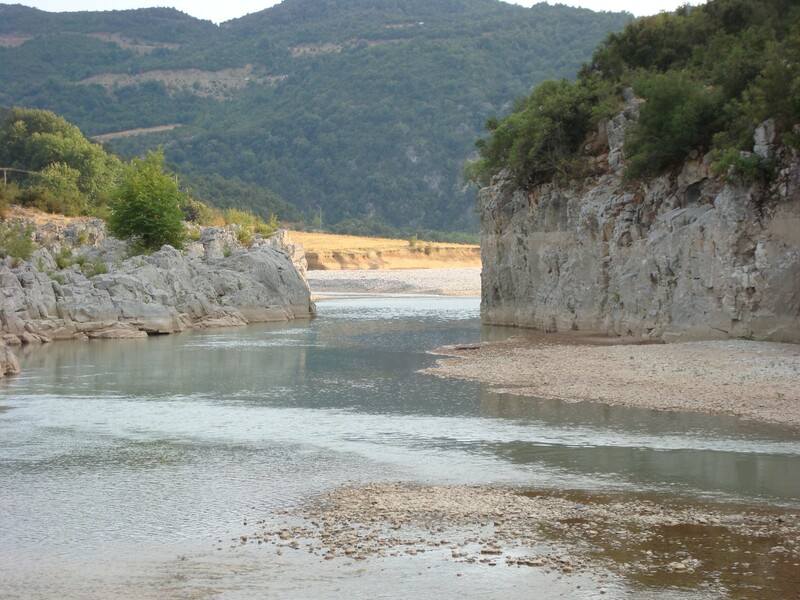 The question in Nomarchiaki was whether the diversion of the river Acheloos would seriously compromise the result of directive 2000/60 which establishes a framework for Community action in the field of water policy. 64 While it is true that, as stated in paragraph 56 of this judgment, Article 4(7) is not applicable, as such, to a works project adopted on 2 August 2006, without prior production of river basin management plans for the river basins affected by that project, the conditions governing the project cannot be more rigorous than those pertaining if it had been adopted subsequent to Article 4 of Directive 2000/60 having become applicable to it. 65 In the case of such a project, the criteria and conditions laid down in Article 4(7) of Directive 2000/60 may, in essence, be applied by analogy and, where necessary, mutatis mutandis, as setting the upper limit for restrictions on the project. 68 While the fact that it is impossible for a river basin or river basin district to meet from its own water resources its needs in terms of drinking water, electricity production or irrigation may indeed be capable of justifying, in the light of Directive 2000/60, a transfer of water such as that in the project at issue in the main proceedings, it is not the case that such a transfer can be justified only by reason of such an impossibility. It cannot be ruled out that, even where there is no such impossibility, the transfer of water may be regarded as satisfying the conditions mentioned in the preceding paragraph and, in particular, (i) the condition that it serves a general interest and/or the benefits to the environment and society linked to the achievement of the objectives set out in Article 4(1) of that directive are outweighed by the benefits to human health, to the maintenance of human safety or to sustainable development resulting from the transfer of water and (ii) the condition that the beneficial objectives pursued by that transfer cannot, for reasons of technical feasibility or disproportionate cost, be achieved by other means which would be a significantly better environmental option. Further on in the judgment, the Court answered the question whether under article 6 (4) of directive 92/43 irrigation and supply of drinking water constitute imperative reasons of overriding public interest that can justify the project impact on the integrity of the sites concerned. 121 An interest capable of justifying, for the purposes of Article 6(4) of Directive 92/43, the implementation of a plan or project must be both ‘public’ and ‘overriding’, which means that it must be of such an importance that it can be weighed against that directive’s objective of the conservation of natural habitats and wild fauna, including birds, and flora (see, to that effect, Solvay and Others, paragraph 75). 122 Irrigation and the supply of drinking water meet, in principle, those conditions and are therefore capable of justifying the implementation of a project for the diversion of water in the absence of alternative solutions. 123 However, where the SCI concerned hosts a priority natural habitat type and/or a priority species, the only considerations which may be raised, under the second subparagraph of Article 6(4) of Directive 92/43, are those relating to human health or public safety, to beneficial consequences of primary importance for the environment or, further to an opinion from the Commission, to other imperative reasons of overriding public interest. 125 As regards irrigation, it is evident that it cannot in principle qualify as a consideration relating to human health or public safety. On the other hand, it appears more plausible that irrigation may, in some circumstances, have beneficial consequences of primary importance for the environment. 126 In contrast, the supply of drinking water is, in principle, to be included within considerations relating to human health. Thus, supply of drinking water is a consideration relating to human health is an imperative reason of overriding public interest, but, on the other hand, irrigation is only so to the extent that it may have beneficial consequences of primary importance for the environment. This was so because the directive is more protective of sites that host priority natural habitat type or a priority species. Laurens, thank you for your informative post on this case. In the second part of you post you analyse the judgment on the ‘imperative reasons of overriding public interest’. This terminology stems from the directive, but is in my opinion similar to the terminology used by ECJ when it applies its rule-of-reason-doctrine to justify hindrances / discrimination contrary to the free movement provisions of the TFEU. To which extent do you think the analysis of the ECJ in Case C-43/10 Nomarchiaki on irrigation (environment) and supply of drinking water (human health) as imperative reasons of overriding public interest is transposalbe as a rule-of-reason-justification to the free movement provisions? Thanks Wessel, yes, there is some overlap conceptually, but there are two differences. First of all, as you pointed out, the wording and the context of the directive makes the test a bit different (including the part on the SCI’s). Secondly, the biggest difference is that from an environmental perspective the rule/exception is the other way around: this time it is environmental protection that is the rule and a public interest that needs to justify the intrusion, whereas with free movement it’s usually the the protection of the environment that needs to be justified!